Linda Addington is a "sister in song" with us, singing in the Lead section. 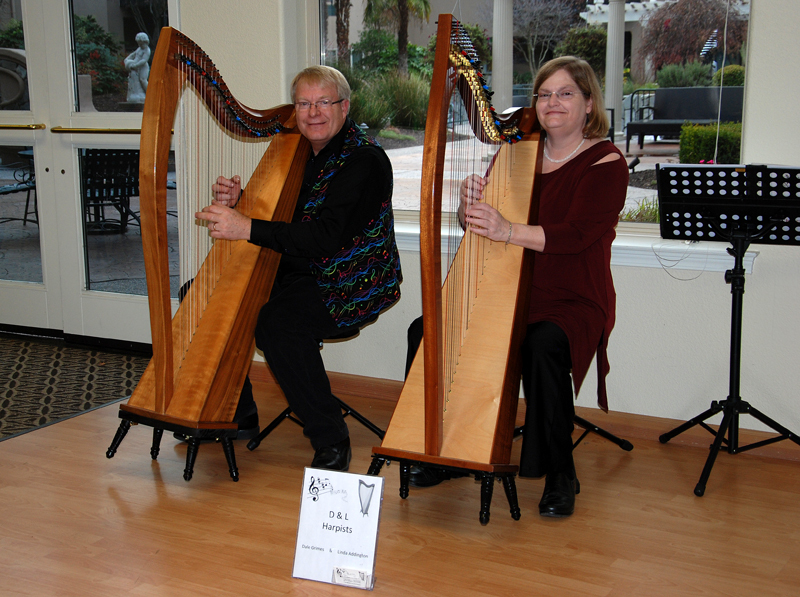 She is also the sister of Dale Grimes and together they are "D And L Harpists". We would like to thank them for sponsoring us! Pam Lee is a "sister in song" with us, singing in the Bass section. Pam is the owner of Crater Lake RV Park located in Prospect, Oregon. We would like to thank her for sponsoring us!